First line: "What if Shakespeare had it wrong?" Thoughts: You had me at Paris, boys and love. I may be a little bias because going into this book, I knew I'd love it. After all, Gayle is one of my favorite authors. With that said, I immediately I had high expectations. Will this book top WHERE SHE WENT? I think it's safe to say that JUST ONE DAY exceeded all my expectations and more. JUST ONE DAY is an exquisite novel about breaking all the rules, finding who you really are, and first love. Did you really expect less from Gayle Forman? I didn't think so. The novel is broken down into two parts. With the title, I originally thought it would take place in the course of a day. While it does (Part One), it also spans out into what happens after. I'm so glad the author decided to do this because with the way the first half of the book ended, I don't think I could stand waiting another year to find out the rest! Can you imagine that sort of aching? ICK! The entire story is told through Allyson aka Lulu's point of view. It all begins with a train ride and a girl's quest for adventure. Enter Williem. She wasn't expecting to fall in love. Heck, she thought the trip was practically over and was ready to go home and start college. The thing is, when Williem offers her a train ticket to Paris, how can she refuse? Cute Dutch boy with his crazy sprinkles bread offering her a chance of a lifetime? Ever so cautious, Allyson takes a leap and goes for it. One of the many things I love about this book is the author's attention to detail. It's obvious she's traveled to these places and with the way it's written, it makes me want to travel there, too. Hello, macarons? I want some! I'm still weary about hagelslag but if Williem says it's good, it must be. Thank you, Gayle, for reminding us that half the fun in traveling is the food. My only grievance is on the subject of Nutella. How can someone hate Nutella? It's delicious! Let's talk about the characters for a bit. I cannot tell you how much I adore Allyson. She reminds me so much of myself when I was her age. Reserved yet craving adventure. I love that she never tells Williem her real name. She just let's him call her Lulu and owns it. She's willing to take a leap of faith, to just live in the moment and be someone else, and I really admire her for it. With Allyson comes...no, not Willeim. Dee. I cannot write this review without mentioning Dee. While Allyson drifts from her childhood friend Melanie and parents (because let's be honest, it often happens as we get older), Dee fills that void with something she needs more. Her friends are still her friends, the way her parents will always be her parents, but Dee gives her this support that no one else can and helps her figure out who she really is. Maybe she's not just Allyson or Lulu. Maybe she's more than all of it. Finally, Williem. To be honest with you, I don't know how I feel about Williem. I love him but I also hate him. Upon finishing JUST ONE DAY, I was left with all these unanswered questions dwelling inside me, and most of them revolve around Williem. I'm fairly certain all will be revealed in JUST ONE YEAR (after all, it's written in his point of view), but for now, I shall remain neutral when it comes to him. 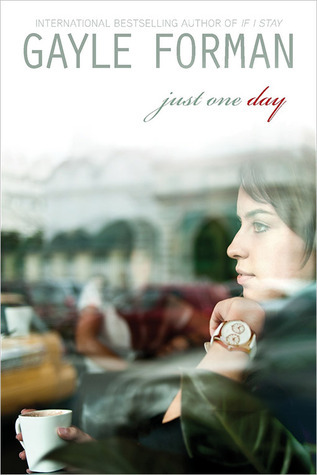 Overall, for romance lovers and travelers everywhere, I highly recommend reading JUST ONE DAY. Your only regret will be that you can't immediately start JUST ONE YEAR and will feel a bit tortured (yes, tortured) waiting for the sequel. Honestly, my review doesn't do this book justice. Experience it. Live it. Love it. “I think everything is happening all the time, but if you don't put yourself in the path of it, you miss it." I absolutely loved it too... and for different reasons than I thought. Her dealing with her mom and her best friend were huge for me and so familiar. I loved that Gayle can be so nuanced in her writing. I don't know why people associate young adult with bad writing and poor plot and character development, because, HERE, THIS is the very example of the kind of books I want to be reading... whether it is YA or not. Ya know? Sigh. So great. I just lent this to one of my besties and I hope she loves it as much as I did. Yeah you loved it too. Yes I could go either way with willem but can't wait for the next book too. 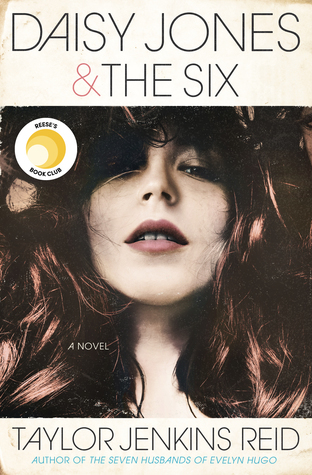 oh wow great review, like you said Gayle forman is a favorite author of mine, though my favorite of hers is If I Stay. I can't wait to pick up Just One Day and met Williem and at the same time travel with these characters. Like you said, half of the fun of traveling is food!, though I am NOT a fan of macaroons whatsoever. I really need to prioritize my reading and get to this book already. Your review makes me want to go home and grab it NOW.